Kids’ Hoodies selection has just become the easiest and funniest activity to do because you know too well how kids flip out as soon as they see a funny face or cartoon animals in silly situations on a print. 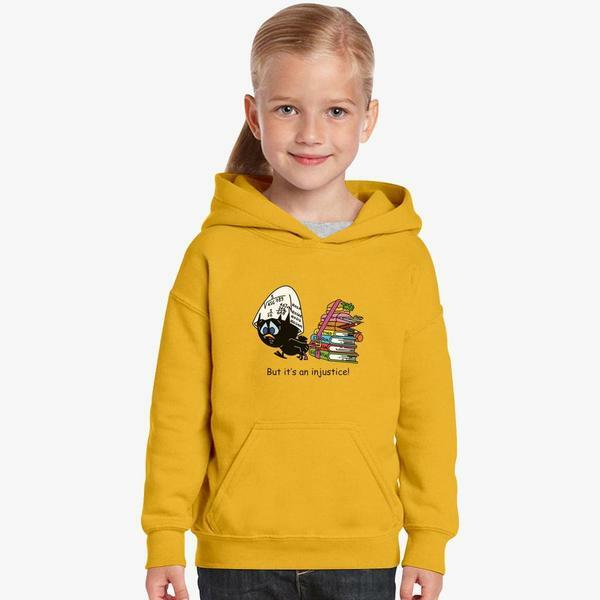 If you are trying to say more, and make your toddlers look even cooler than they already are, go with our custom hoodies options, plain black or white, which will have interesting and unique design. You can customize all of our design using our Design Tool. This new feature will blow your mind. Options are endless, try it out! You can make a reference to the favorite TV character of your kids, without having to pay ridicules amounts of money for it, just because they have a logo and fancy letters. Kids don’t notice that. 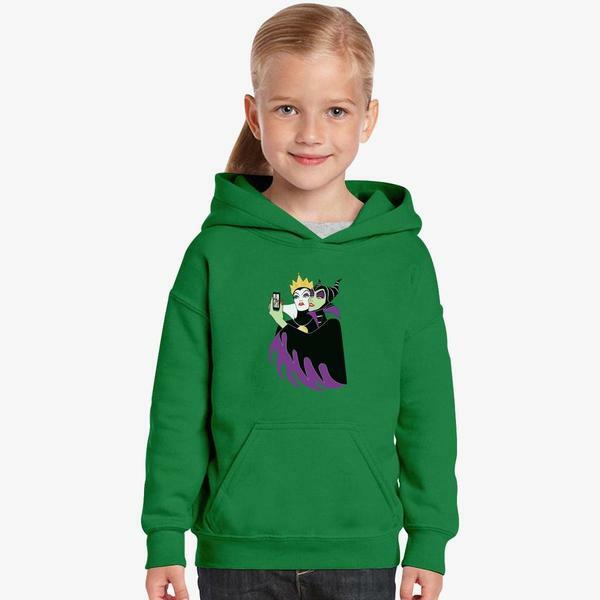 Get toddler girl hoodies without a boring helpless princess on it. Be inventive, and customize cute, cheap hoodies for your loved ones. Kids are not that difficult to please! The best thing about hoodies is that they are ready to wear no matter the weather. If you need them as an extra layer during the cold months or to keep your kids warm while they cool off after an hour of constant running – go with kids hoodies. As soon as the new season of your kid’s favorite TV show starts, you know they will come and ask for something that has a picture of their favorite TV cartoon hero. In a sense, this item becomes an artifact of a sort for them. This is also a perfect moment to take those stereotypes out of their heads and be inventive or to make a reference that is much more affordable. Choose unique, yet cool hoodies, that will get them through spring. Why wear a picture of a hero, when you can be one? We all had that phase in our childhood when we wanted to be a doctor and save lives. This Stethoscope Kids Hoodie is a cozy one that will keep your kids warm and initiate the role-playing game. This funny design will go with pretty much anything because it is hilarious! Almost all of our toddler hoodies are available in 12 different colors and 4 different sizes. Nothing makes us laugh hard as a good joke. If you were looking for really unique cool hoodies, this might be the one. You can’t find this design on a shelf of a megastore. These vibrant colors will draw the attention of many. This might not be a Disney hoodie, but it keeps the imagination and story vibrant. All the kids go through that phase of Grumpy McGrumperson, which is why we chose this adorable kids animal hoodie. This design can give your kid a bit of security and courage, too. Stay away before this frisky cat scratches you. When your boy is asking for a really cool hoodie, think about the practical side of it. It’s more important to think about the comfort and layering which we also offer in form of t-shirts, sweatshirts, and tank tops. As for design, we have you covered there too. 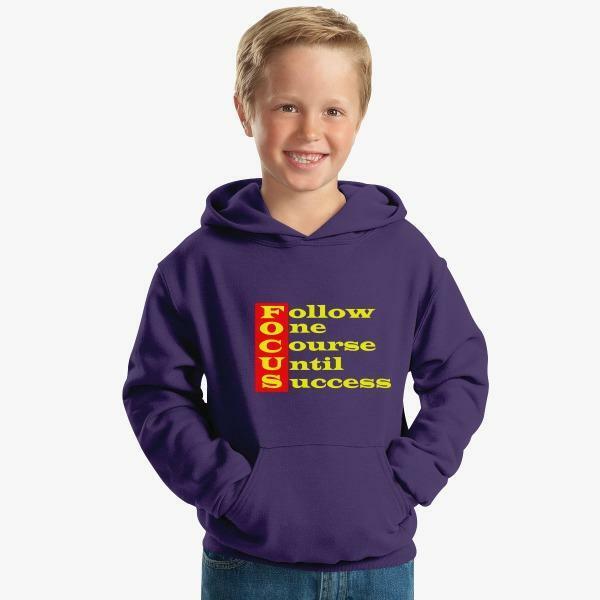 We have many pages of inspiring kids hoodies to choose from. If you still can’t find the right one – make your own with our Design Tool. Whether he likes superheroes, or you got him already hooked up on your favorite ancient group – we got it! 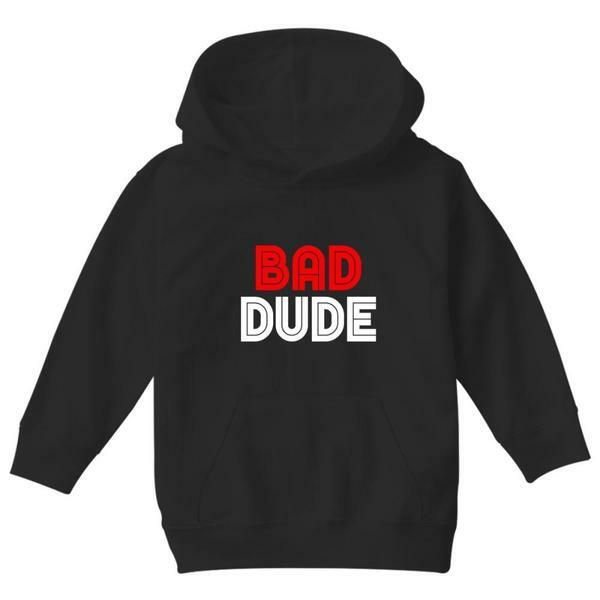 This Bad Dude design in black is really simple and awesome, and you can’t make a mistake if you choose this black hoodie. Boys are going to love it because it tells a story of uber-coolness. Perfect for hangout, and still versatile and stylish. Perfect homework, pickle, and food for thoughts, for all newbie gamers and their dads. 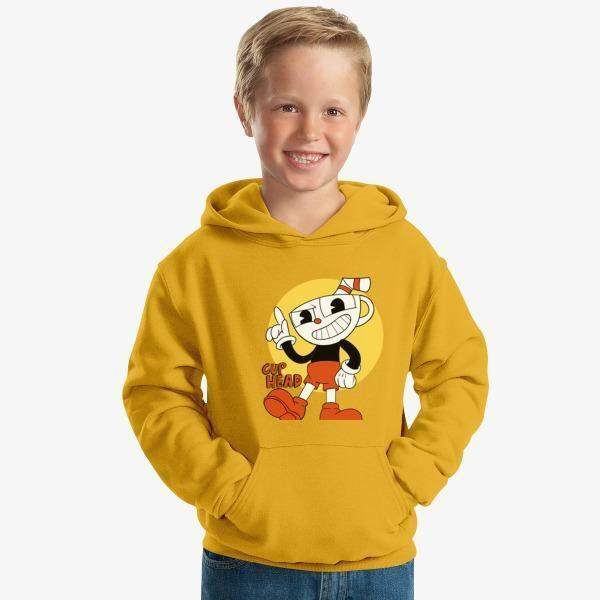 This design connects the generations of gamers while being the perfect round-up hoodie; rain or shine. A kangaroo-style pocket will come in handy and ensure the 80’s vibe throwback. Just when you thought that you are running out of perfect simple lines… these kids plain hoodies in white will be the softest hoodies your boy will ever wear. Best of all is that you are really covered in case something awkward slips of his tongue like – dad ate all the candies and blamed it on me. 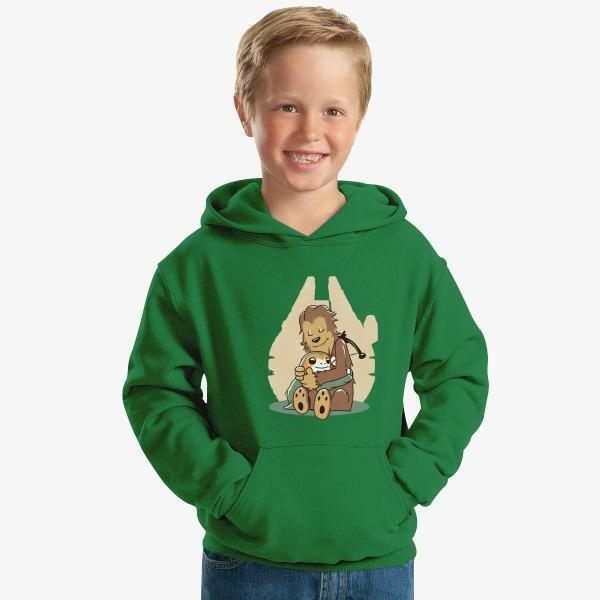 Chewbacca hoodie for kids is a no-brainer! Every kid loves Chewy because he is such a big character, just like your boy! He becomes so adorable when he’s angry, and yet, loving and sweet, just like on this green hoodie. Roar on, Chewy! The closet of your daughter must be full of pink princess prints… It is inevitable and cute to a certain extent. Start thinking of offering her something different. There are plenty kids unicorn hoodies or kids bunny hoodies, that don’t have to be Disney princess approved. Your girl needs to know that she cannot sit and wait for her prince to rescue her. She has to take matters into her own hands. Is there a better way to go through life than as a mermaid? Go with a pink hoodie, and, by all means, go with mermaids. They are funny, they sing well, and have fun in the magical world under the sea. There is plenty of time before your girl discovers that the ending of Little Mermaid is not happy at all in the original Andersen’s story. Green with envy? This green hoodie for kids is the perfect one for taking down the stereotypes. Toddler girls might not like this one because they see no fashion icons in Evil Queen and Maleficent, but older girls with a sense of humor will love it. 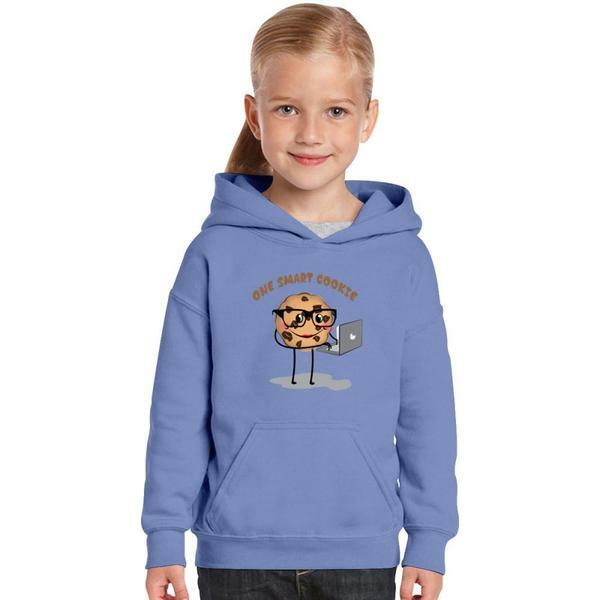 These custom kids hoodies for girls, with double lined hood, are lightweight and super-soft. When in doubt, just do what Beyonce would do – something cool and classy! Double-needle stitching at waistband and cuffs will last even if your diva likes to climb trees and hang from them upside down. It looks great with everything. Diva on, we say,…, diva on! Smart design in light blue on the hoodie that is made pill-resistant. This is a combination of funny and cool kids hoodies, that can be worn equally by a toddler, or older girls. Toddlers are a trickier group of children. They are old enough to know well what they like or don’t like and they always express it…, as loud as they can! If they don’t like something, there is no way in hell you will make them wear it. When choosing toddler hoodies you have to play smart. Get their attention with an interesting design, while you are making sure that it will also be practical and affordable. Snug as a bug in a hoodie. Made from softer air-jet spun yarn, this plain hoodie is perfect if your toddler is starting to develop fear from insects. Ladybug is the most adorable and loved insect in the world. 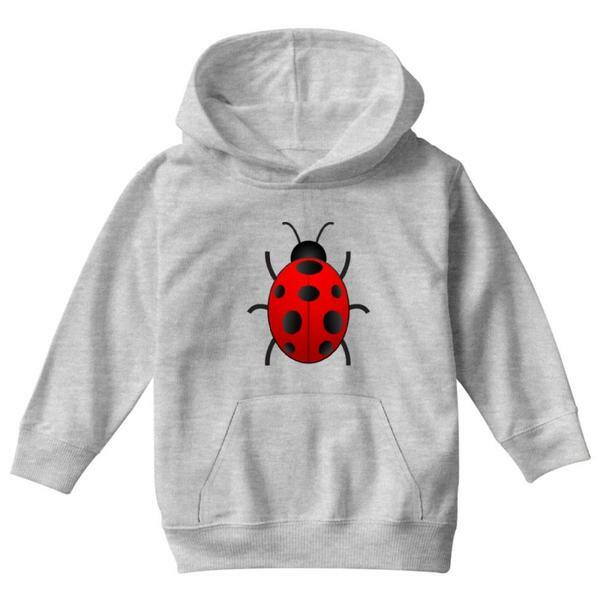 This lovable insect will intrigue toddler’s imagination and make them think twice whether insects are cool on hoodies. Ladies and gentleman! The most magical creatures in the world have wings. You might be a dragon, Pegasus, Thunderbird, Phoenix, you name it. There is no end of incredible secret magic they hide in themselves and what is it exactly what they can do. Just make sure your kid tells you all about it. It will be a never-ending topic! Kids animal hoodies work as a charm every time, especially if there is a monkey! With this front pouch black hoodie you simply can’t go wrong. Reason – it has a monkey on it! The coolest, smartest, creative creature of a jungle… Does that remind you of someone you know? Someone who loves to monkey around, perhaps? This old-school, evergreen, cute hoodie design is timeless. If your kid doesn’t know who Snoopy is, be sure to tell him. He or she will fall in love with him as we all did. Nothing is more sincere than a true friendship. Spread love and peace…, and always dream about summer laziness. 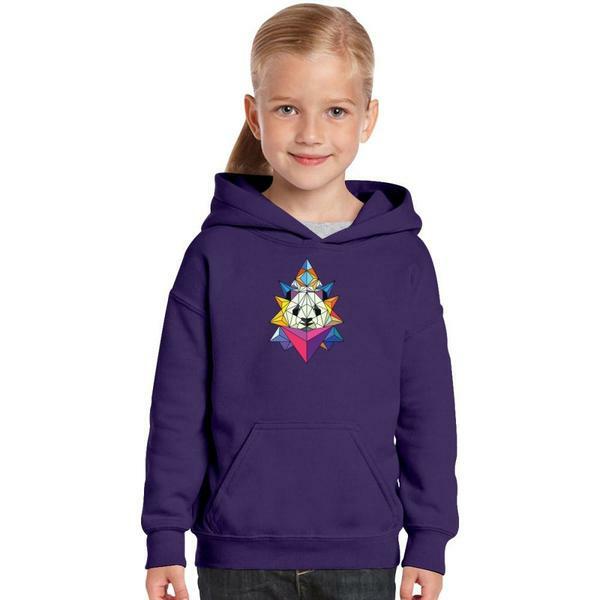 Custom kids hoodies are easy to choose and make with our Design Tool, if you know where to look. We offer you pages of interesting design solutions. From kids basketball hoodies to maybe kids skeleton hoodie, we can offer unique and custom designs. If you are searching for something truly different, you are in the right place. This 50/50 poly cotton mix will guarantee warmth or just kicking it casual. This unique hoodie design is saying it as it is. You start to admire your own little adorable Machiavelli. He or she will get far in life for sure, if they learn how to FOCUS like this more. Injustice everywhere you turn around! Do this, do that, stand up straight, do your homework, chew with your mouth closed. It’s good to be reminded of how annoying our parents were, and how we all repeat their mistakes when it comes to raising our children. Choose this design in different colors if you decided that this custom kids hoodie is the right one for your kid. 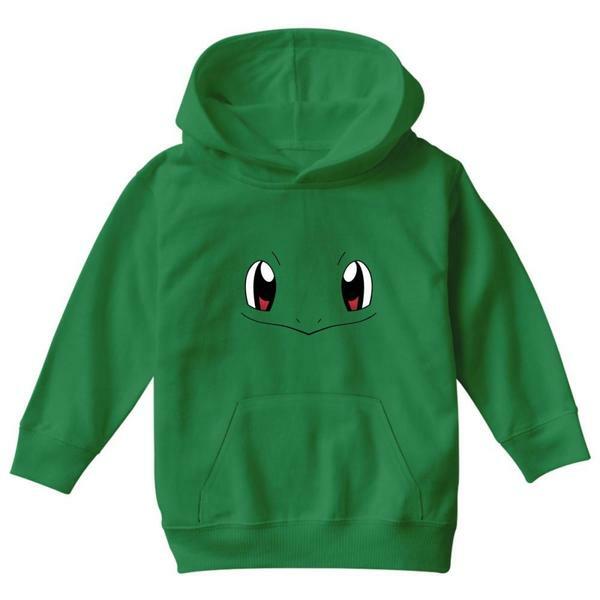 A friendly green imaginary friend with magical powers on cool hoodies for kids? 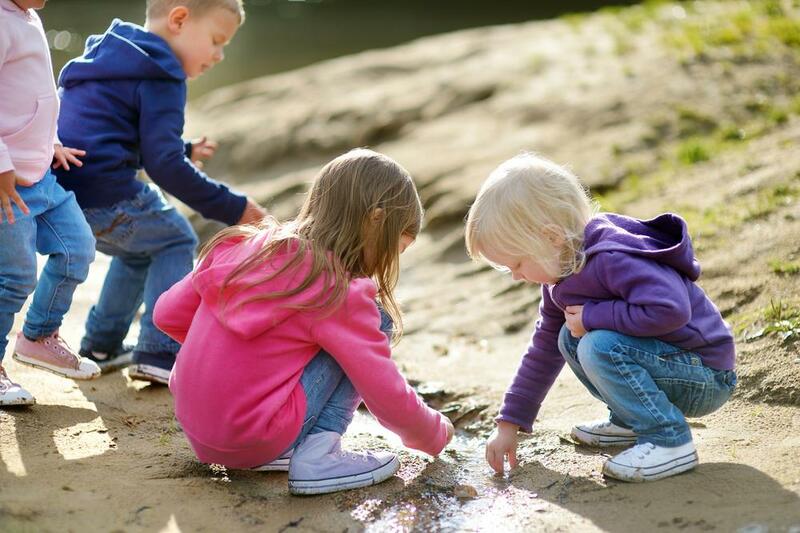 Your child will try to persuade you that his friend is real, big and friendly as long as parents and teachers don’t give them too many chores and homework. In case that does happen, they become HULK in an instant. This represents a true custom kids hoodie with a unique design. Therefore, some of our designs are so captivating that they can easily tell a whole story, like this one. Even better, what kind of a story would your child imagine if he/she sees it? Browse through our designs, and you will surely find a right storytelling hoodie for your kid. We hope that you enjoyed our picks for kids hoodies, and we invite you to get creative with us. At Kidozi, we offer a wide variety of kids hoodies colors, from light pink, light blue, white and black to purple, yellow, blue, red, orange, green, pink and gray, which are all available in 4 different sizes. We made sure that you can find all sizes from S to XL, according to your child’s age. These custom, unique hoodies designs will keep your kids comfortable and warm. Set your kids up for success, make them laugh, and laugh with them. Our Design Tool is easy to use, and make sure to try it out. Designing has never been easier! Also, make sure to check out some of our blog posts about Kids’ Trendy Clothes and Funny Kids’ Shirts. Get inspired and get new ideas. Kidozi designs suit all ages, and if you can’t find the one, create your own. 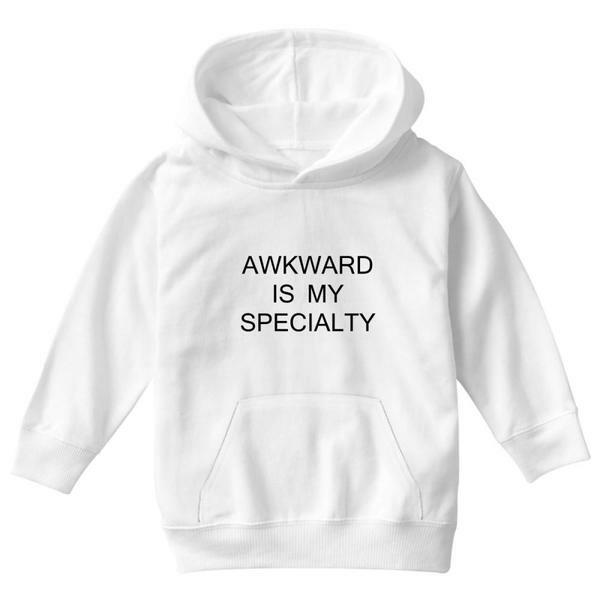 We will print those funny lines you would like to see on your kids’ hoodies, no matter what anyone else thinks. Toddlers, girls and boys hoodies can really become cool and unique. Get away from stereotypes or give them a new meaning, a new twist. Adorable, affordable, with a click of a button, at Kidozi shop.